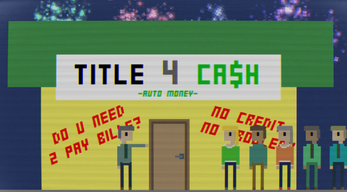 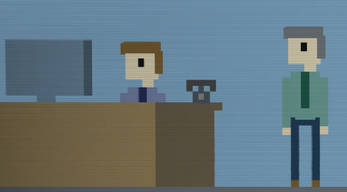 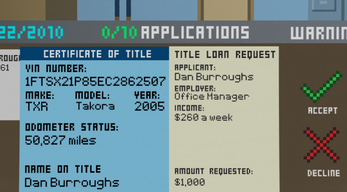 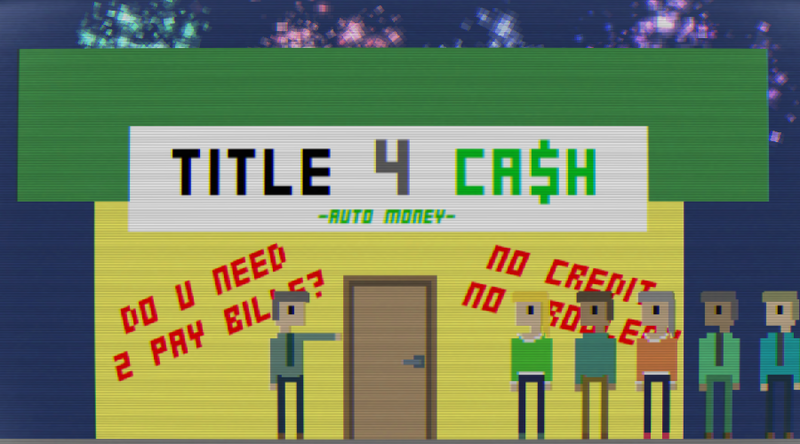 Made in 72 hours for Ludum Dare 33 - "You are the Monster"
It's your first day on the job as a Title Loan Agent. 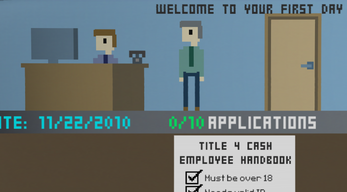 You must get past the probationary period which involves successfully accepting or denying 10 applications. 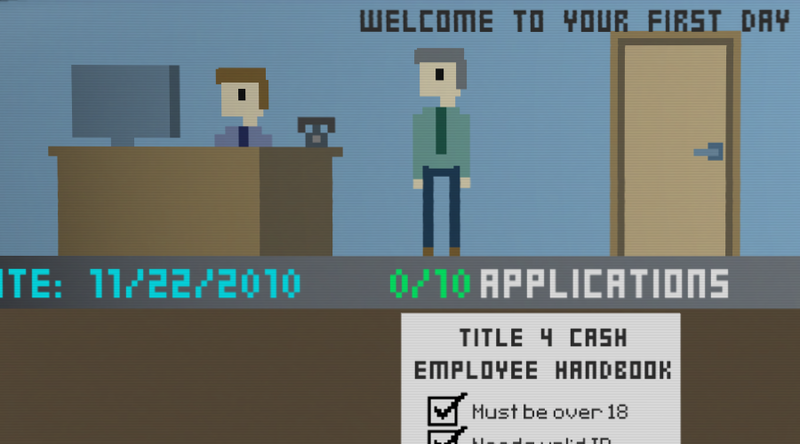 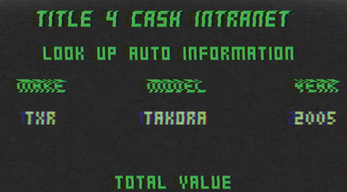 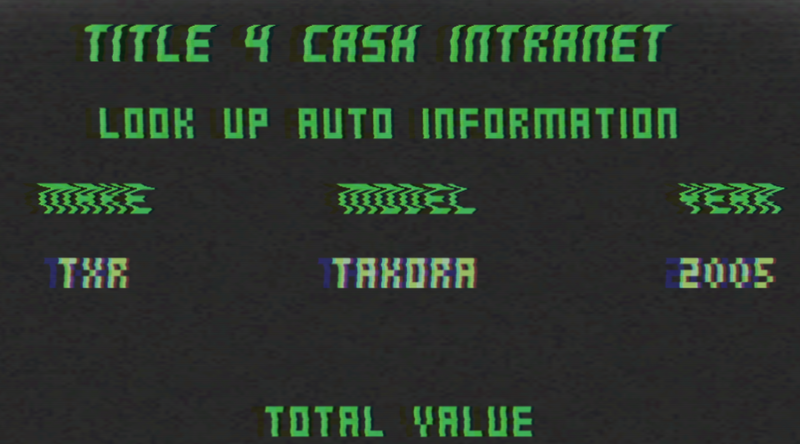 Gameplay is inspired by games like Papers, Please.